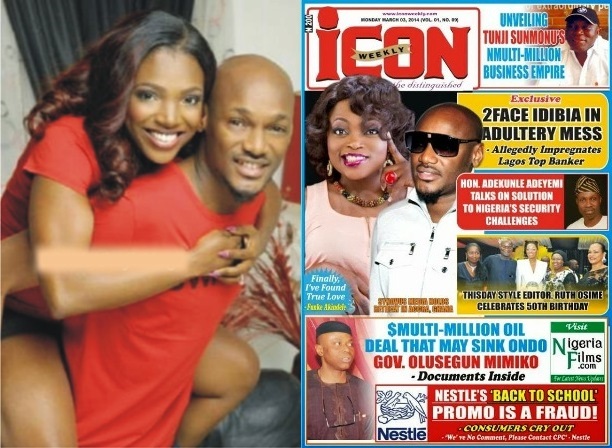 There were reports all over the place that 2Face Idibia has fathered another child with his personal banker (published by ICON Weekly). It was also said, the child will be his number 8 child from 4 different women. I was saddened when I read the reports, however, decided not to publish it, cos it might not be true. Despite all the shortcomings in 2Face and Annie’s life, I still deem them fit as best couple amongst the young married Nigerian Musicians. This entry was posted in Entertainment, Fashion trends and tagged 2Face Impregnates another woman, Annie and 2 Face Reacts to Reports of Pregnancy rumours.